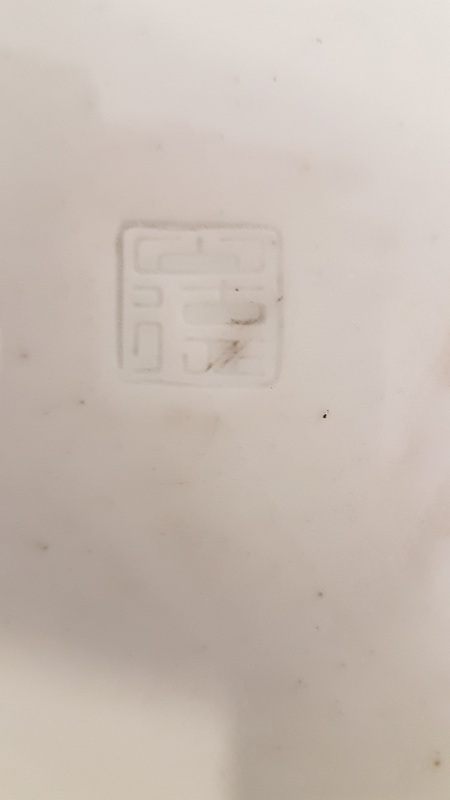 I have a very nice Satsuma plate with two marks on the bottom. 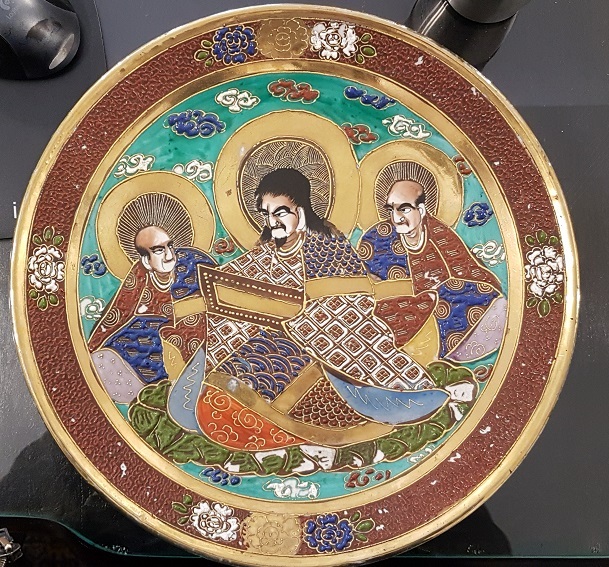 I would like to know more about it, so if someone would like to share the knowledge, it would be very much appreciated. Thank you in advance for your efforts! The impressed mark of the pottery is 山徳 Yamatoku. Yamatoku is a kiln in the Saga Prefecture and was named after Yamaguchi Tokuichi (i.e. : Yama & Toku). 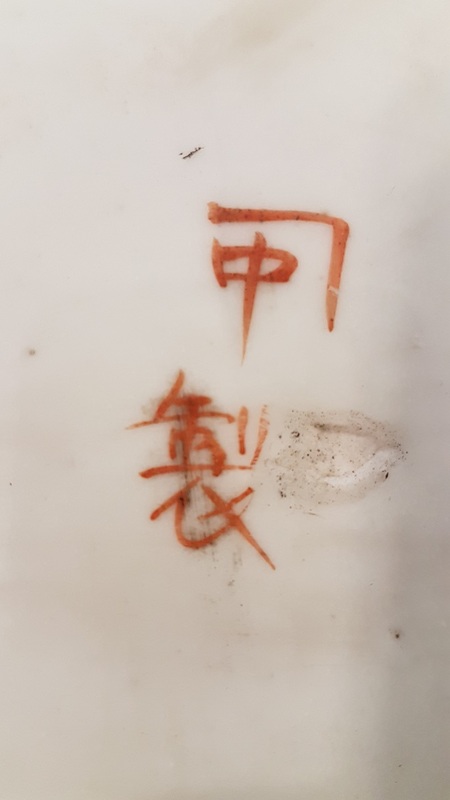 The red mark is not a Kanji character, but the Kanji for Naka 中 within an angel. No idea what it's representing. Perhaps the name or logo of the painter or workshop that painted this. The 2nd Kanji is 製 Sei = made. Hello, can't thank you enough, your answer really helped me in my searches.